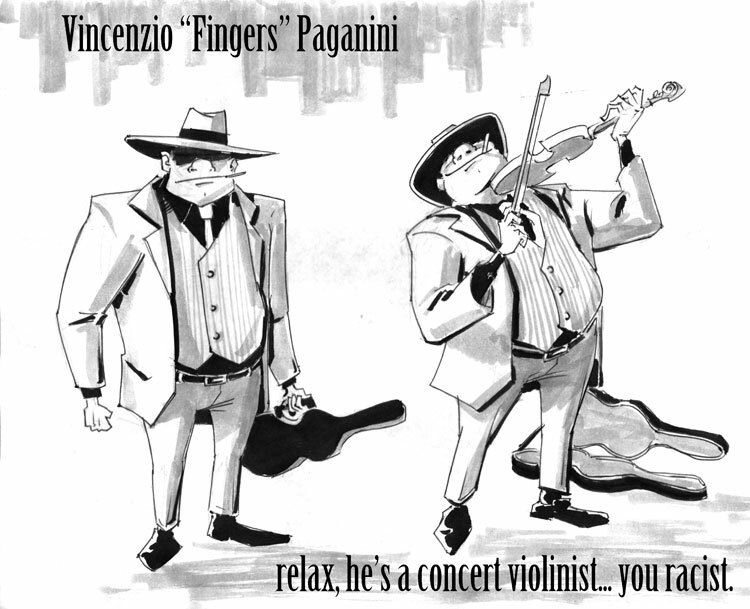 Relax, he’s a concert violinist… you racist. By the way, I’ve started reading Yo, Is This Racist? on tumblr. Worth a look! This year I’m participating in The 30 Characters Challenge, where you try to design thirty characters in the thirty days of November. Character design is definitely one of my weak points. This is something I just realized after spending two years drawing characters I designed in a few hours. All my entries won’t look like this. Some will be cartoonier, some will be in color, some might be all-digital. I’m hoping to branch out a lot this month. Stay tuned! The one thing I know for sure is that I want 15 of my characters to be female. Or I might do 14/14/2 or 13/13/4 if I decide to include characters of ambiguous gender. 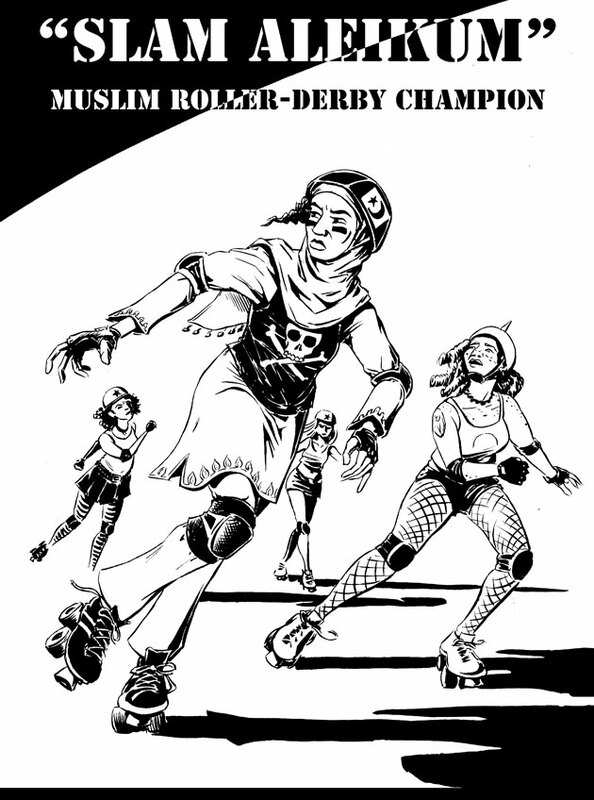 I wanted to start off with a strong Muslim woman character – I think there’s a huge dearth of these in popular media.